In today’s digital world, video content is the king. Actually, it’s considered that video content will drive 82% of all online traffic by 2021 and since YouTube is the 2nd largest search engine after Google, it is important that you optimize your video content to remain ahead. Irrespective of whatever your business or product and services are, having SEO-optimized YouTube content is essential. It is always important to find a topic that is interesting to your viewers. To get an idea about it, you can always use Google Trends. It helps you find those significant topics which have enough importance on YouTube. You just have to enter your topic into the Explore bar, and you can see the results in the following page. Further, it is going to show you a chart showing how much interest your topic has had in the past 12 months. You may further customize the results country by country. Scroll down and you will be able to find related search queries and topics as well. After developing your initial keyword ideas, it is time to test them with a free tool like Ubersuggest which helps in generating keyword ideas. You just need to enter your keyword in Ubersuggest, next select YouTube in the drop-down menu provided. Ubersuggest provides us with information like search volume per month, seasonality, keyword ideas, cost per click, etc. It is completely free and thus, you may use this keyword tool as many times as you want without any limitations. Autosuggestions in the YouTube Search bar functions as one of the greatest tools to discover effective keywords because these keywords always show up whenever a user searches for a specific topic. Having a look at these autosuggestions is one of the best ways to generate keyword ideas. Enter your query and then, determine what type of autosuggestions YouTube displays for that particular keyword. Suppose when you enter a term such as “Social Media Analytics” to the search bar, you’re going to find a set of excellent long-tail keywords to pick from. You can always go back to Ubersuggest to investigate these set of keywords. 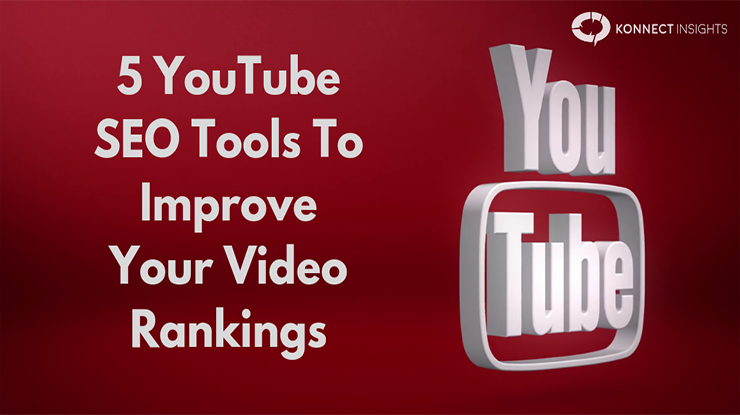 Focus on their search volume and when you have found the keywords that you want to target, you may use them in your video title and description. The next search engine optimization hack to use is a YouTube video thumbnail. Canva is a free graphic design tool which will help you to make eye-catching thumbnails for your YouTube videos. Think vibrant and be creative. Use a combination of clear text and high-quality pictures. While creating your video thumbnails you should set the resolution to 1280×720 and always save it in PNG format. The file size should be below 2MB. Along with targeting keywords, it is equally important to pick the ideal tags. The right tags can help your video rank for the right keywords. To start with you may use Vid IQ, which is a free Chrome extension. Integrate the VidIQ extension into your Chrome browser. Create a free account on VidIQ. Use it to look for keywords, analyse your competition, add tags with high volume and low competition and use them in your YouTube videos to get an additional advantage.